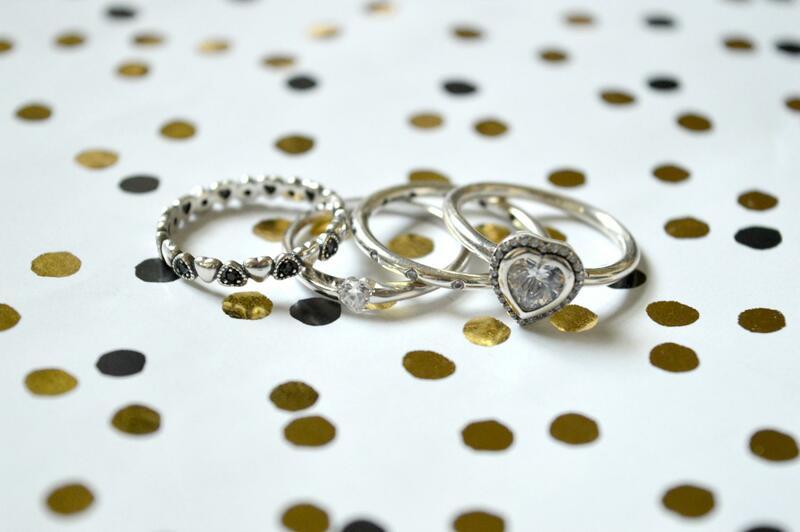 Ever wanted to get your hands on affordable Sterling Silver rings? Well, I’ve got you covered. Earlier this month I shared a wishlist full of cute and affordable AliExpress jewellery that I hoped to order during their 11.11 sale. Well, I ordered myself various bits and pieces, many of which I’m still understandingly waiting to turn up. However, one of my orders from my one of my favourite sellers on the marketplace and took just 10 days to arrive from China which is truly amazing. Plus it is even more amazing since I didn’t even pay any postage at all. The seller I’m talking about? bamoer Official Store. Bamoer is a store which specialises in 925 Sterling Silver jewellery at really, really affordable prices. The store has been around since 2011, boasts 99% positive feedback and is one of the top brands on AliExpress. I’ve ordered from the store a fair few times now and I can safely say delivery is always super swift and you really do get value for money. The shop features a whole variety of designs and pieces but my favourite items from the shop have to be their rings. Many of the designs are similar to Pandora designs but without the huge price tag. Take the dainty love heart ring and the pink clover ring which I previously featured in my cute Aliexpress items post as examples. They’re both unbelievably pretty and identical to Pandora designs. However, both were less than £4 each when I purchased them. Now one thing worth mentioning is the fact that because of the exchange rate the prices of these items vary all the time. However, you can get some really great pieces for between £3 and £6 with some a few other pieces costing a little more. The catch? Well, there really isn’t one and I couldn’t believe it myself when I first ordered. The rings are good quality, they don’t turn your fingers green and they don’t fall to pieces after a couple of wears. They’re pretty, well made and super good value for money. Some of my favourite pieces that I’ve ordered over the past couple of years from the store include the Stackable Bow Ring, the Solid Silver Heart Band Ring and the Heart-Shaped Pendant Ring. 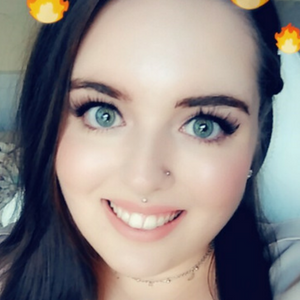 For anyone wondering I purchase all my rings in a size 8 which fit me perfectly and is the equivalent of a UK size P.
So which pieces did I purchase from the store this time around? 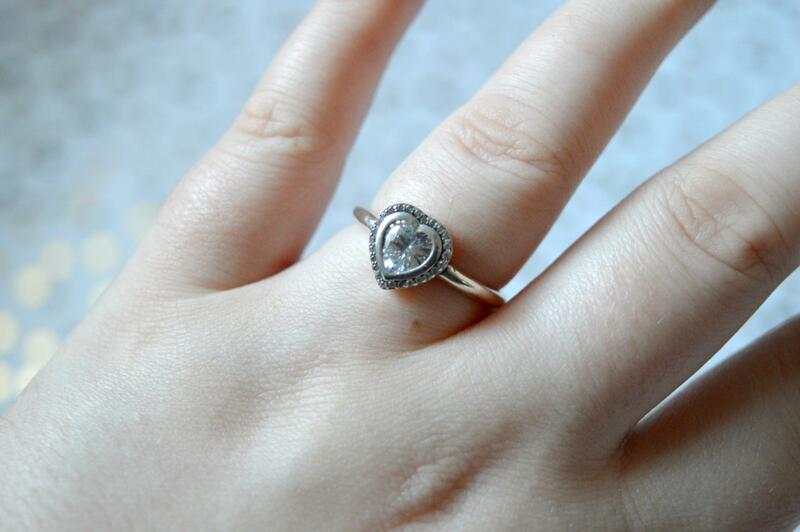 Well, the first of the affordable sterling silver rings that I ordered was the ring that I mentioned in my wishlist, the Sparkling Love Heart Ring. Now I had really high hopes for this ring and although I don’t hate it, I don’t love it as much as I thought I would. Now don’t get me wrong, the ring is super pretty with its zirconia heart framed by smaller cubic zirconia stones. However, I find it a little big for my hands. I mean it fits perfectly, it just looks too big and sort of in your face. I mean it is kind of what would be considered a statement ring. However, I just feel like it doesn’t look right on me personally. Maybe it’s a ring I’ll whip out for a special occasion? One thing is for sure, I feel like it is way too big and bold for everyday or casual wear. Nevertheless, for £5.31 it is excellent value for money. The second of the affordable sterling silver rings I picked up? A much more dainty piece, the Stackable Cubic Zirconia Band Ring. This ring consists of a thin silver band which has inlaid cubic zirconia stones throughout. The ring is very classy, elegant and a lot more pretty in the flesh than you’d expect. The piece set me back just £3.04 and is quite possibly one of my all time favourite rings. It has a nice sparkle to it without being too over the top but could also easily be worn daily for a touch of glamour. Another of the really wonderful affordable sterling silver rings I picked up was the Simple Heart Ring which set me back a mere £3.44. This ring takes a minimalistic “less is more” attitude. It consists of a silver band with a single small inlaid heart-shaped zircon. 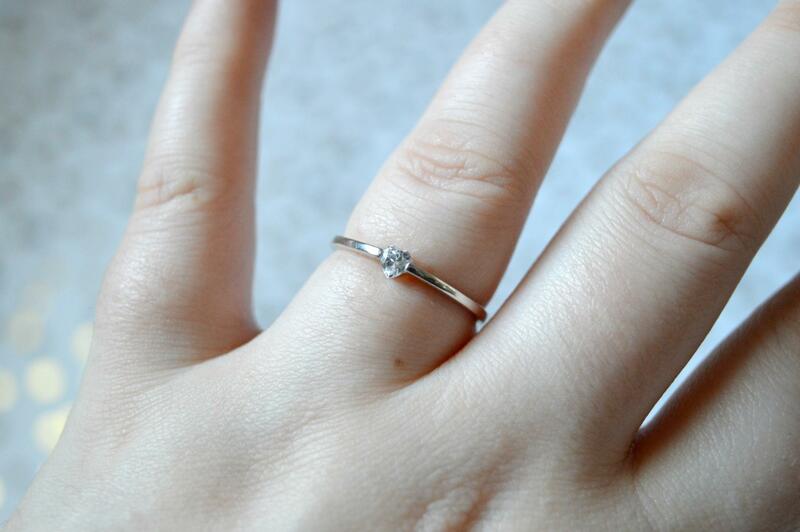 I feel like the ring suits me well and the pretty small zircon shines beautifully when the light hits it. This is a ring extremely suitable for those who aren’t into big statement pieces and prefer the more simple yet stunning pieces. The final ring I picked up? 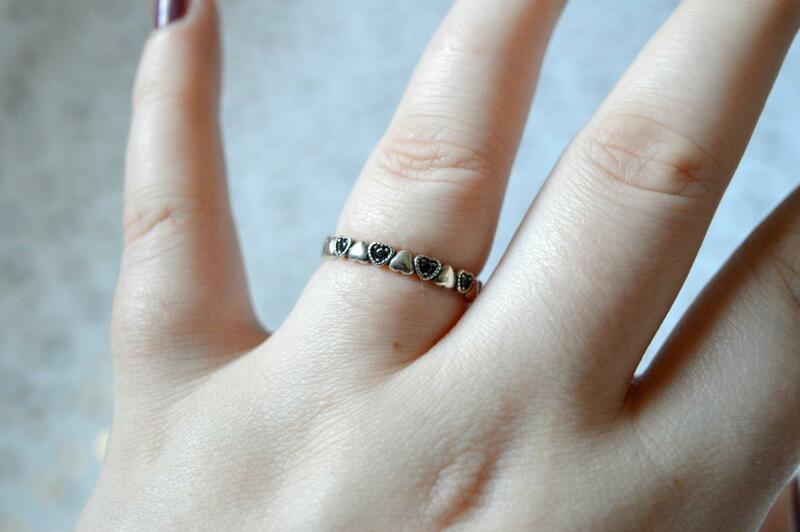 The Black Heart Band Ring which was the cheapest of the lot at just £2.87. This ring is made up of silver hearts and black heart-shaped zircons which alternate to form a band style ring. The ring is finished beautifully, shines well and the contrast of the black and silver work very well together. All in all, I’ve gotta say, bamoer have done it once again. They’ve left me feeling very happy and content with my purchases. There is no doubt in the future I will purchase more pieces from the fantastic store because they’re simply brilliant. Huge hats off to bamoer for being awesome with both their service and their products. 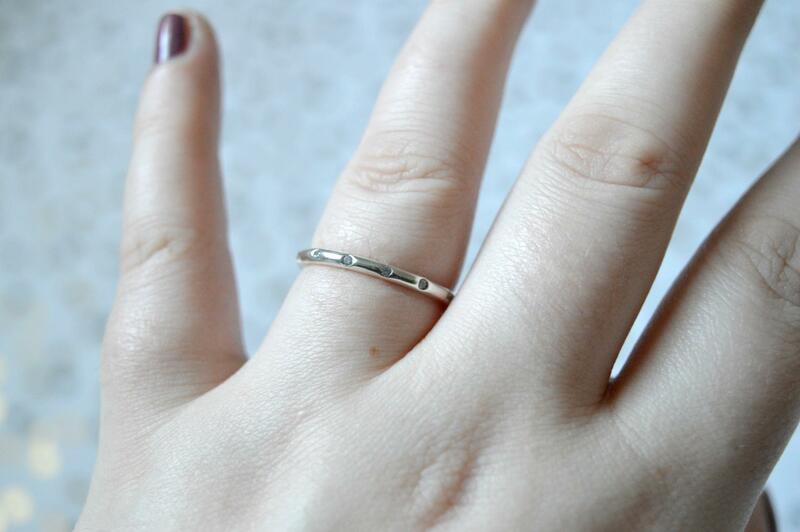 What’s your favourite of the four affordable Sterling Silver rings that I mentioned? Are you an AliExpress fan?